American School will exhibit at the Southeast Homeschool Expo to be held at the Cobb Galleria Centre July 24 and 25. Georgia might be home to Peachtree Street and the Peach Bowl, but American School will be the one offering peachy deals at the Southeast Homeschool Expo. The event runs July 24-25 at the Cobb Galleria Centre northwest of downtown Atlanta. "The Southeast Homeschool Expo is one of the biggest and best-run events we attend in a calendar year," American School President Gary R. Masterton said. "We've had such a tremendous response in the past that we're sending our entire public relations and marketing department down there to man the booth and answer questions from the many people who are sure to visit." The convention will be open from 10 a.m.-9 p.m. on July 24 and 10 a.m.-5 p.m. on July 25. Masterton said the convention draws people from far outside the metro Atlanta area. "Even though the event is close to Atlanta, it really is the Southeast Homeschool Expo," he said. "It's not uncommon for us to talk to residents of the Carolinas, Alabama, Tennessee, Florida and more." 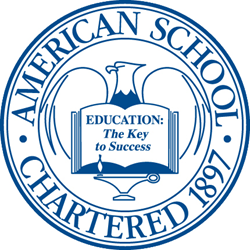 When visitors stop by American School's booth, they will learn about American School's accredited high school courses and diploma programs, which are available in online and paper-based formats. Students who wish to earn their high school diplomas may enroll in the General High School Program if they are planning on going to community college or joining the workforce after graduation or the College Preparatory Program if they are planning on going to a four-year university. Both programs consist of 18 units of credit with room for electives. Students and parents also might be interested in taking individual courses with American School to supplement an existing homeschool program. Individual courses include core subject areas like English, math, science and social studies but also specialty subject areas such as fine arts, business, technical and world language, the latter of which includes ten online courses through Rosetta Stone. As a non-profit institution, American School keeps cost to a minimum. Diploma programs cost between $2100 and $3600 with lower prices available if a student has previous high school credit and doesn't need 18 units of credit from American School. Individual courses typically cost between $150 and $300. "In addition to offering high school courses at a cost students can afford, students and parents can be assured that we are accredited," Masterton said in reference to American School being accredited by MSA-CESS, Ai and NCPSA. For more details, call 866-260-7221 or visit http://www.americanschool.org.